New Plymouth Argyle signing Craig Tanner says he does not expect to go straight into the Pilgrims' side. The 20-year-old has joined Plymouth on loan until January after impressing in a pre-season game playing against them for his parent club Reading. "Hopefully I'll get some game time but I think I need to earn it first," he told BBC Radio Devon. "I'm not assuming that I'm coming in to play, I need to earn it in training and go from there." Tanner has made five first-team appearances for Reading since coming through the club's youth ranks. 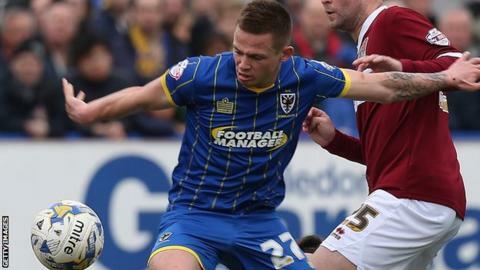 He spent much of last season on loan at AFC Wimbledon, against whom he could make his Argyle debut on the opening day of the season. "It's fate that we've got them in the first game," he said. "Hopefully we'll get one over them and get a few bragging rights over my mates. I won't let them live it down when we get the three points."